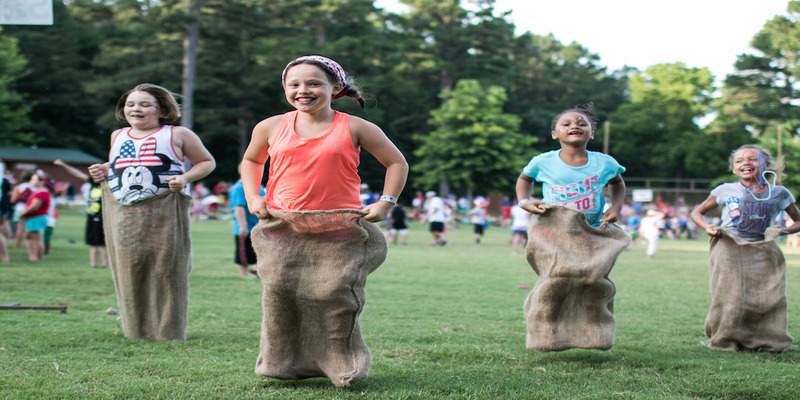 Camp War Eagle’s Summer Day Camp is the premier day camp experience for children ages 6 to 11 from Benton, Carroll, Madison and Washington counties of northwest Arkansas, providing opportunities for them to experience War Eagle in a day camp setting. Two-week Day Camp sessions are currently offered in Rogers and Springdale, and Mobile One-week Day Camp Sessions are offered at various locations in northwest Arkansas. • Taking exciting field trips, possibly even including one to see Overnight Camp! Camp War Eagle is currently organizing a summer of one-week day camp sessions at various cities in northwest Arkansas, bringing the War Eagle experience to several areas for one week at a time. See Session Dates for location information.